“Glycyrrhiza Glabra” Co, Ltd is a private company. The company was opened in 1990, and since then was selling licorice root, and processing it into thick licorice extract. Both licorce root and licorice extract, produced by our company, correspond the Governmental Standart (GOST 22839-88 and GOST 22840-77). 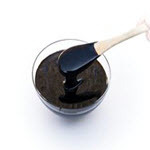 At present, the company has the capacities to produce 200 tons of thick licorice extract per year, with the humidity from 32 to 38%, containing not less than 14% of glycyrrhizinic acid. The Company has its own plant in the Republic of Karakalpakstan, where the root is being grown, gathered and processed. The capacity of the plant is equal to 3000 tons of root per year. Also, the plant includes the root cutting production, which offers root cutted by way of lobes. The capacity of this production is 100 tons root per month, with 50 employees working on it. There is also an area, where the root is being pressed and dispatched, with the capacity of 1000 tons per year. The weight of pack is 100-150 kg, and the size is 60x80x60. The pack is binded by the wire or packaging tape. The procurement of the root is made on the companiy’s own plantations. We are inviting potential partners, and we are ready for all kinds of coopeartion, starting from sales of goods, on favourable for you terms, and also to the discussion of mutual cooperation in the work of “Glycyrrhiza Glabra” Co, Ltd.
We’re the only company in Uzbekistan, which has a full cycle of growing and processing of licorice root. 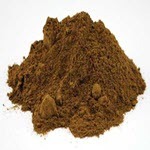 We can offer you different types of licorice root – sticks or presse. 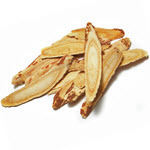 We can also cut licorice root in slices, which are popular in Korean market. From our extract we are also producing powder. Here you can find our certificates. 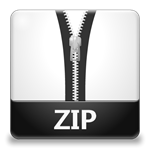 All certificates are packed into .zip archives. Archives include both russian and english versions of certificates. Click here to download certificate for thick extract. 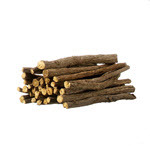 Click here to download a certificate for sticks of licorice root. Click here to download Governmental Standart for licorice root and extract. Unfortunately, it is available only in Russian. Licorice root plantation and processing base. Republic of Karakalpakstan. Licorice extract plant, Tashkent city. 100154, Сергели Южная Промзона, г.Ташкент, Республика Узбекистан. 100154, Sergeli, Yuzhnaya promzona, Tashkent, Republic of Uzbekistan.